Myrist-Aid capsules are a synergistic aid specially designed to be taken along with our Cetyl Myristoleate (CMO) supplement, Myristin®. 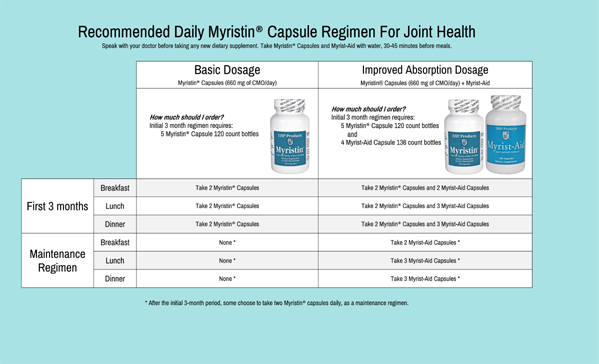 The capsules are intended to help those seeking to improve their absorption of the CMO in Myristin® and also offer other supplements that many take for joint health. 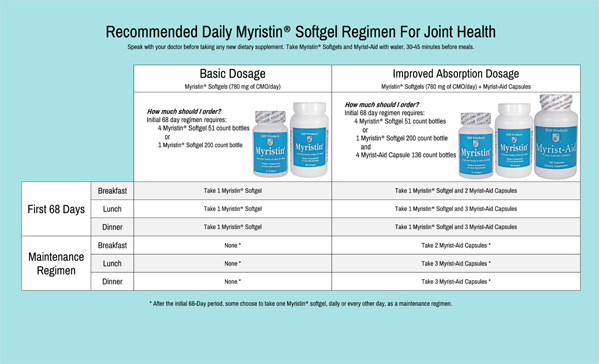 Myrist-Aid contains 600 mg of Glucosamine Sulfate, a naturally occurring chemical found in the fluid around joints in the human body. 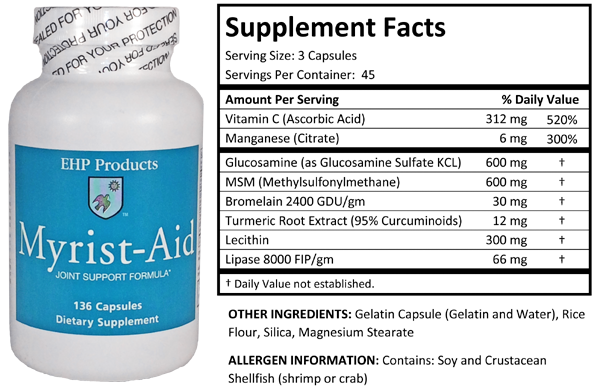 Capsules also contain 600 mg of Methylsulfonylmethane (MSM). Myristin® and Myrist-Aid are all the dietary supplementation that some choose to take, but other individuals benefit from further supplementation while using Myristin®. For information on another EHP Products offering that may aid in your absorption of Myristin®, please visit Milk Thistle Extract.